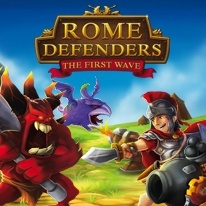 "Rome Defenders" offers a new take on Tower Defense games and challenges with exciting and unique action! Start off with only very few weapons in your arsenal and take on the varying waves of attackers. Continously update your weapon inventory during the course of the game!